Journalist Vitaliy Kuksa, 45, was killed in a grenade explosion on the evening of 27 April, TSN.ua has reported. Kuksa was mobilized into the army and served in the antiterrorist operation area as a signaler. He wrote a lot about the war and military issues and headed the communications and mass media department at the State Special Communications and Information Protection Service. At the time of the death, Kuksa was officially unemployed. Another victim was 24-year-old Andriy Siroshtan, who was also officially unemployed. He was wounded and taken to hospital. 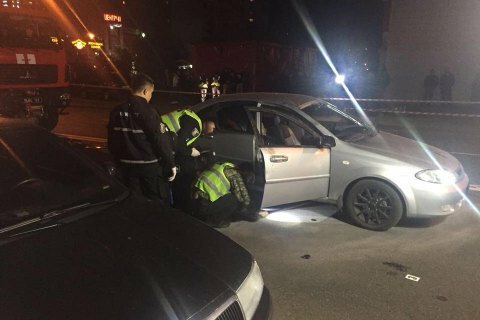 He was driving a Chverole car in Kyiv's Drahomanov Street when a grenade exploded. According to TSN.ua, a grenade exploded in Kuksa's hands. A trigger was found in the car. Police said the victims were Kyiv residents and knew each other. MP Ihor Mosiychuk said Kuksa was Siroshtan's stepfather.